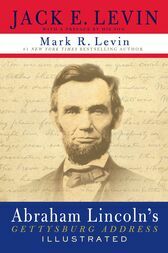 Long before his conservative manifesto Liberty and Tyranny became a #1 New York Times bestseller, Mark R. Levin’s love for his country was instilled in him by his father, Jack E. Levin. At family dinners, Jack would share his bountiful knowledge of American history and, especially, the inspiration of Abraham Lincoln. brings to life the words of Lincoln’s awe-inspiring response to one of the Civil War’s costliest conflicts. pride and historical insight from generation to generation, from father to son.